The historic lament of dieters is there is nothing tasty left to eat once you weed out the fats, sugars and carbohydrates. For gosh sakes, nutritionists have even deemed smoothies and granola as too sugary, salty or oily to be health-wise. A person can only survive on salad and boiled chicken breasts for so long. We’re happy to report not all you hear about your favorite foods is true. Nutritionists and dietitians say some get a bad rap and can offer invaluable health benefits. Potatoes have earned a rough reputation for the high amount of carbohydrates, a weight-loss nightmare. 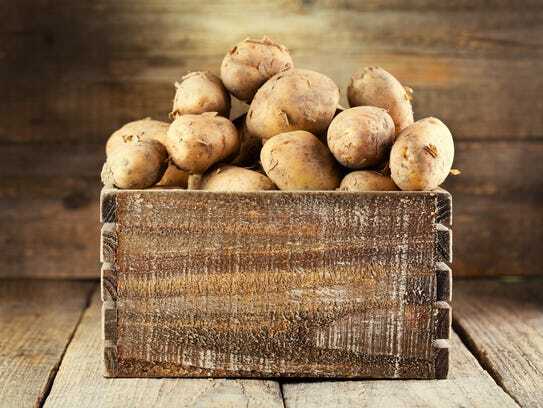 But Kim Larson, a spokeswoman for the Academy of Nutrition and Dietetics, said the type of carbohydrates in potatoes should be embraced by dieters because it’s so filling. “Calorie-for-calorie they are satiating,” she said. “Nutrient-wise they are high in Vitamin C, potassium and fiber.” Still, she suggested, stay away from potato chips and French fries. Vandana Sheth, a registered dietitian nutritionist, said the skin of the spud provides fiber. The healthiest way to eat a potato, she said, is with a small amount of cheese, low-fat Greek yogurt, sour cream or salsa. If you eat them while they’re green, bananas — known for being starchy and high in calories — are high in “resistant starch,” which doesn’t break down or raise blood sugar. 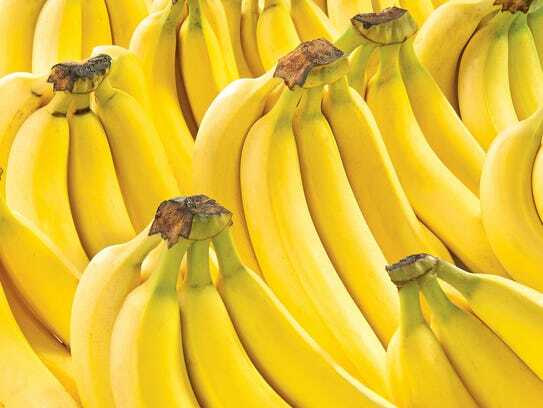 Larson said bananas in this stage can help control appetite, stabilize blood sugar and slowly disperse energy to prevent desperate food binges. Bananas, she added, also are good for your brain. Sorry, not the stuff from the theater or kettle corn, but still. 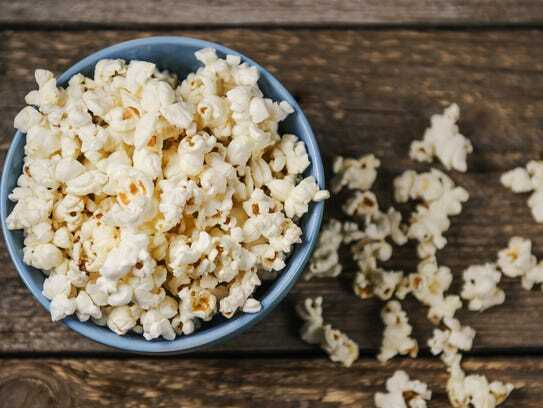 Popcorn, Larson explained, is a whole grain and can be healthy if served without butter or salt. She suggested popping it plain then adding herbs, cocoa, parmesan, cayenne pepper or a little bit of flavored salt. 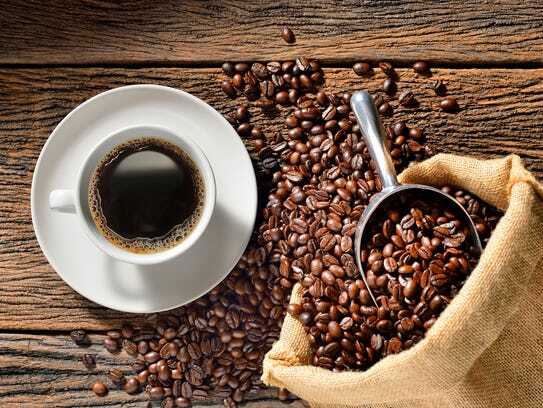 Coffee doesn’t increase one’s risk for heart disease and cancer, Sheth said, and can lower chances of Type 2 diabetes. It also can improve your mood, energy levels and even lead to a longer life. Sheth said it’s fine to drink three to five cups of coffee per day, just watch what you put in it. Coffee with a small amount of cream, she said, is fine. Marjorie Nolan Cohn, a registered dietitian, said these breakfast staples can he highly nutritious if they’re the right quality. She suggests organic, clarified butter and pasture raised eggs. Oil and fats, Cohn said, are important nutrients that help our bodies absorb nutrients from other foods. Eggs, she said, are high in protein and contain Omega-3 fatty acids along with Vitamins D and K. Don’t avoid the yolk, she added. Eggs have forever been chided for their high cholesterol content. But Cohn said high blood cholesterol is more attributed to eating too much sugar and fat. 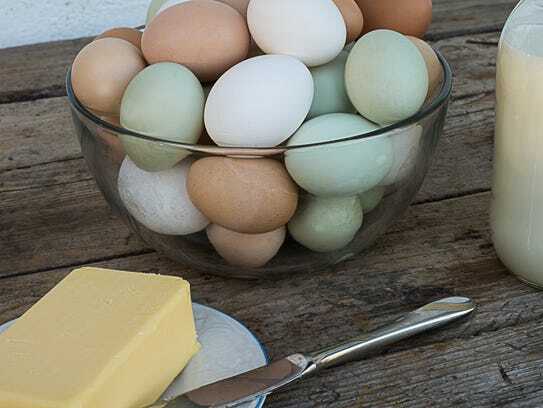 She cautioned, however, to curb the number of eggs you eat if you tend to have high cholesterol. 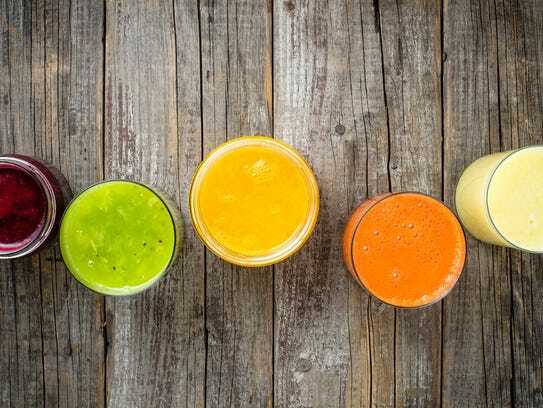 Cohn said fruit juices made from 100 percent fruit juice — with no added flavors or sugars — can be healthy. Just be mindful of the ingredient label to avoid added sugars.